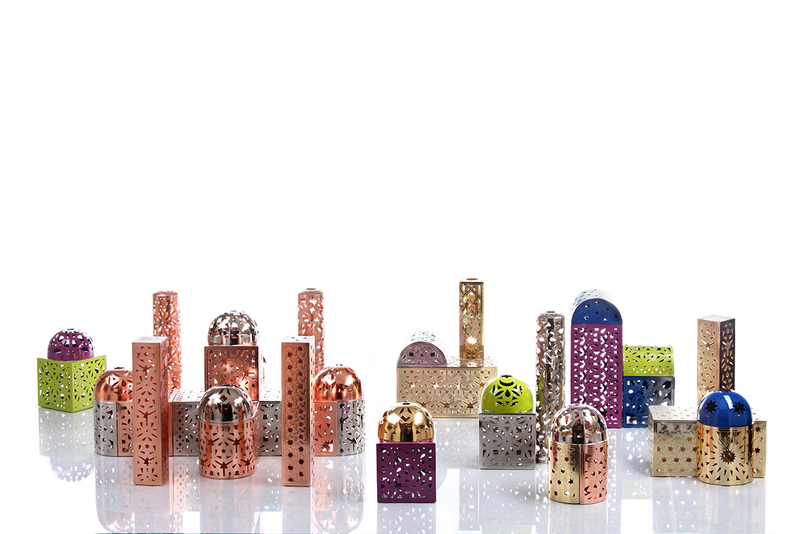 Mabruka is a decoration and accessory line aimed at all occasions celebrated in the Arab world. 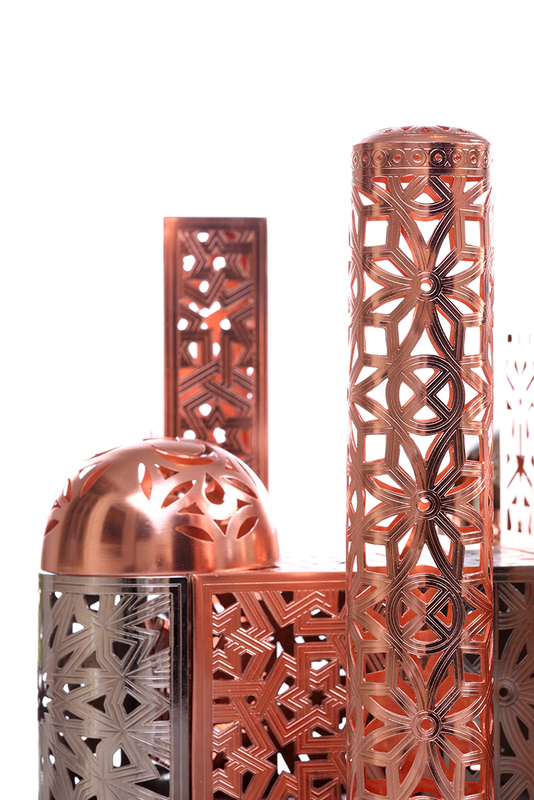 Created alongside architect and interior designer, Nermine Mokhtar and Laila Neamatalla of Nakhla and Siwa Creations, we realized one Ramadan that we all had the same idea of producing modern, high-end Ramadan accessories for residential and commercial use. 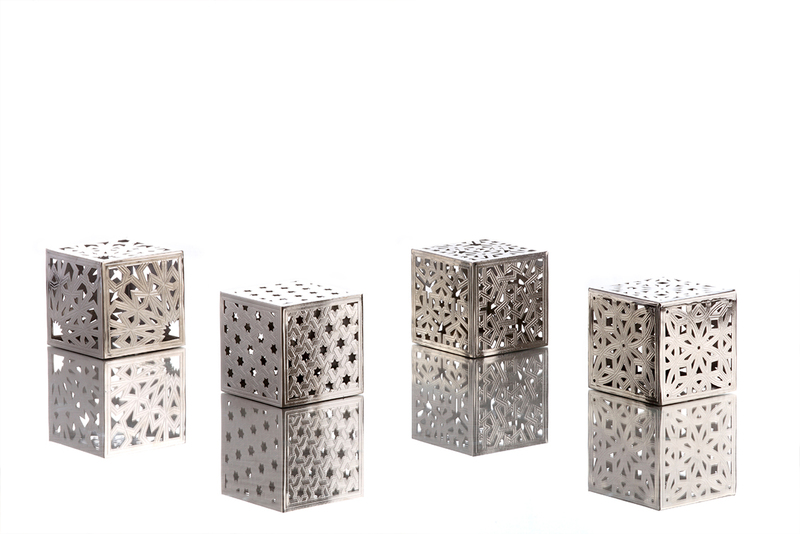 We immediately began designing the metal block collection, salt-rock block collection and salt rock prayer beads. 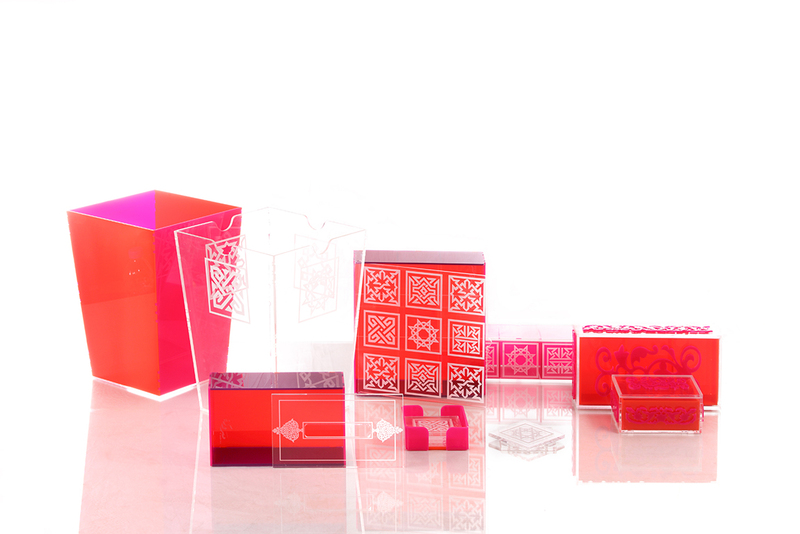 The inspiration for both the metal and salt-rock block collections, also referred to as ‘Ramadan Towns,’ were children’s building blocks and an attempt to combine the whimsical and the elegant. 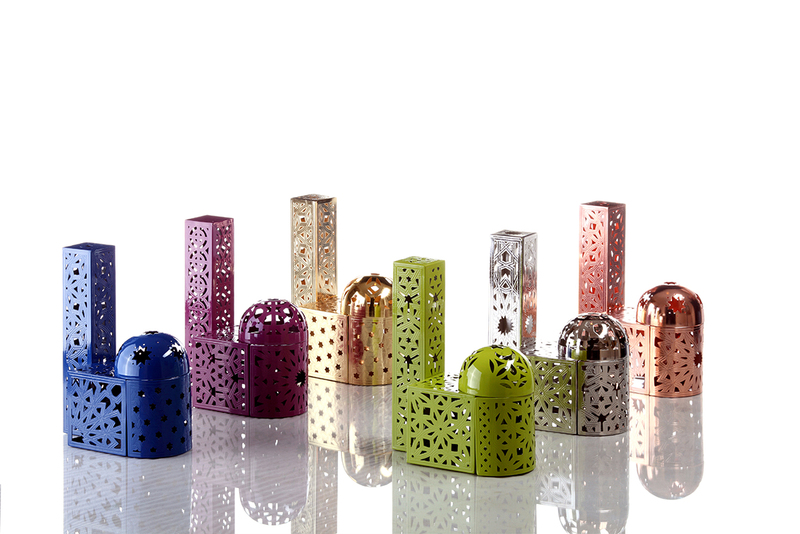 In the metal collection, we introduced intricate Islamic lattice work – thanks to the help of architect Randa Fahmy – and finished it off with vibrant colors. The collection can be constantly rearranged and added to, giving clients limitless display options. 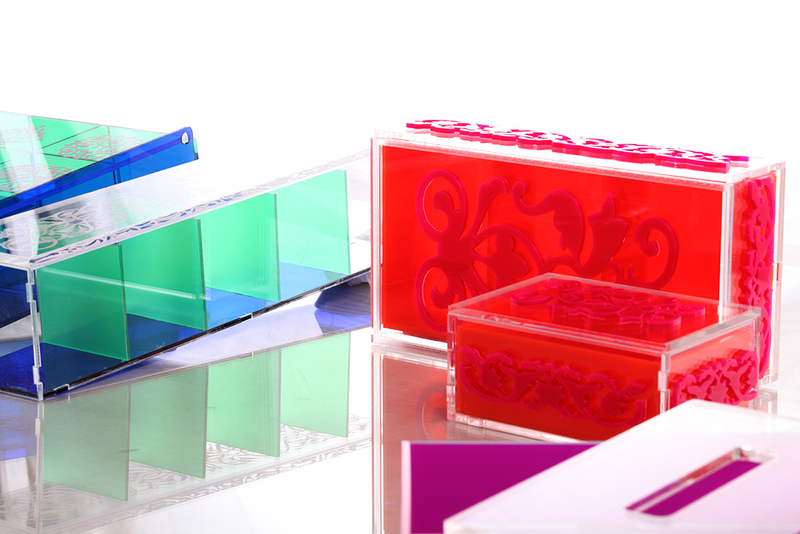 The pieces are available in four unique patterns and six different colors. 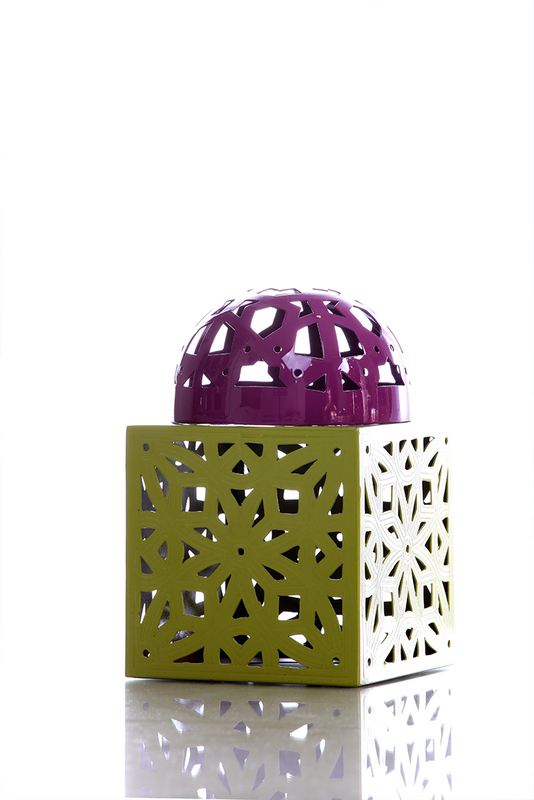 With room for small candles, the latticework comes alive once the flame is lit. 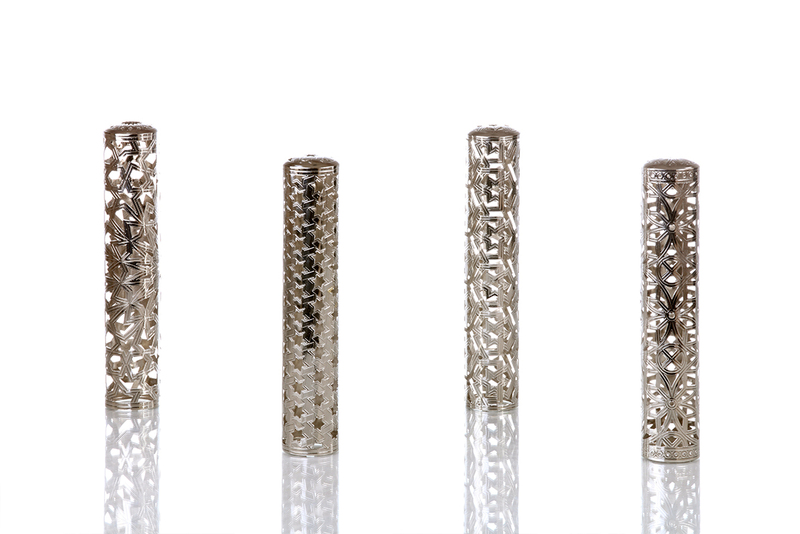 As salt rock is known for its healing properties, brings a piece of nature to your Ramadan table and mixes well with metal, it became the ideal choice for the second collection. 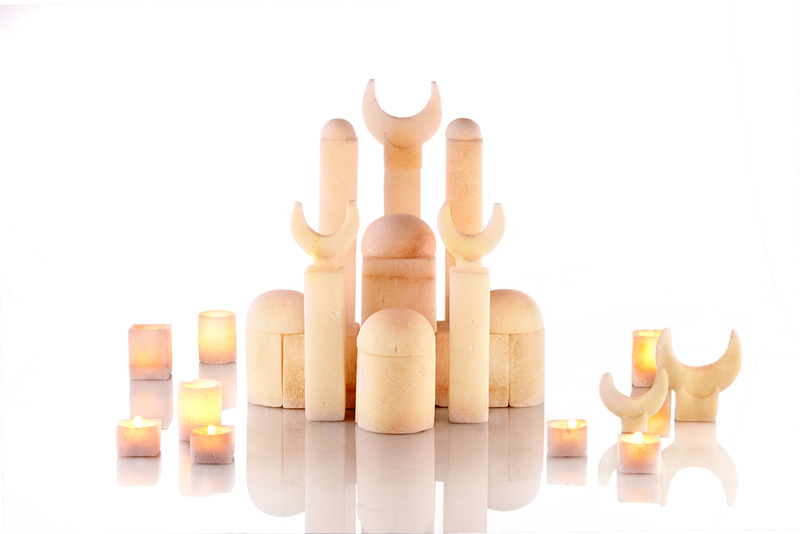 Handmade in Siwa, the result was a high quality and elegant product. 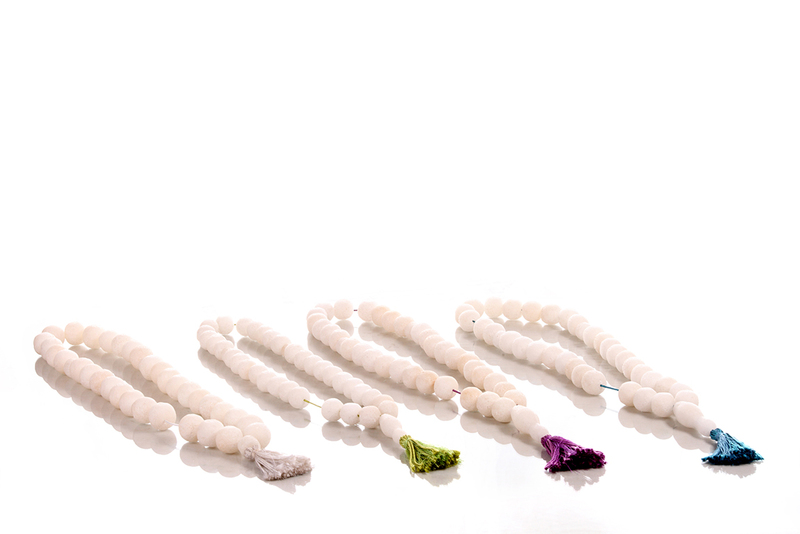 We also designed oversized prayer beads with colorful strings, which tie in with the colors of the metal building blocks and the salt rock building blocks. Other items include linens, prayer bags/rugs and plexi-glass.